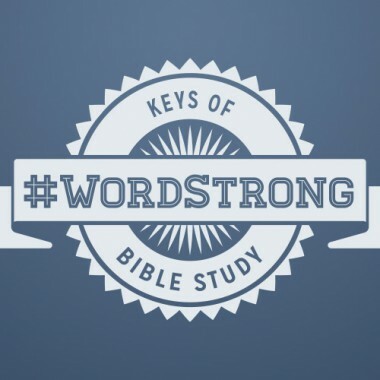 #WordStrong – Learn how to dig into the Bible and discover ways to connect with God, grow in your spiritual maturity, and strengthen your faith muscles. Grow Strong in the Word. #WordStrong courses can help make you 1 John 2:14 strong! becoming a recipient of the blessing promised in Revelation 1:3. Learn the 10 keys that unlock the incredible treasure of God’s Word, and that open opportunities for you to be strengthened in your relationship with God.